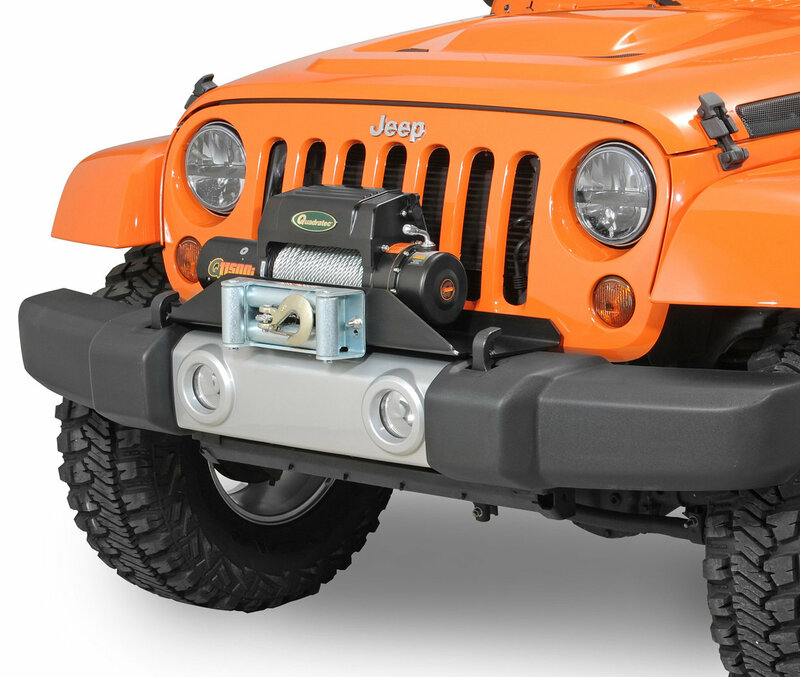 If you are looking to mount a winch without changing your front bumper, Rock Hard 4x4 has you covered. 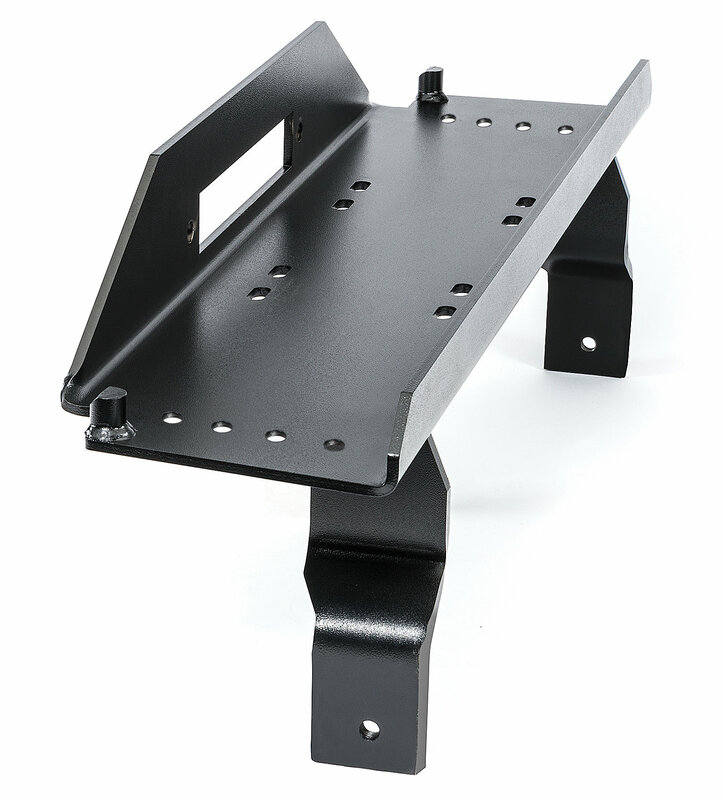 This Winch Mount fits most brand winches with a standard bolt pattern to the factory front bumper or optional factory tubular bumpers. 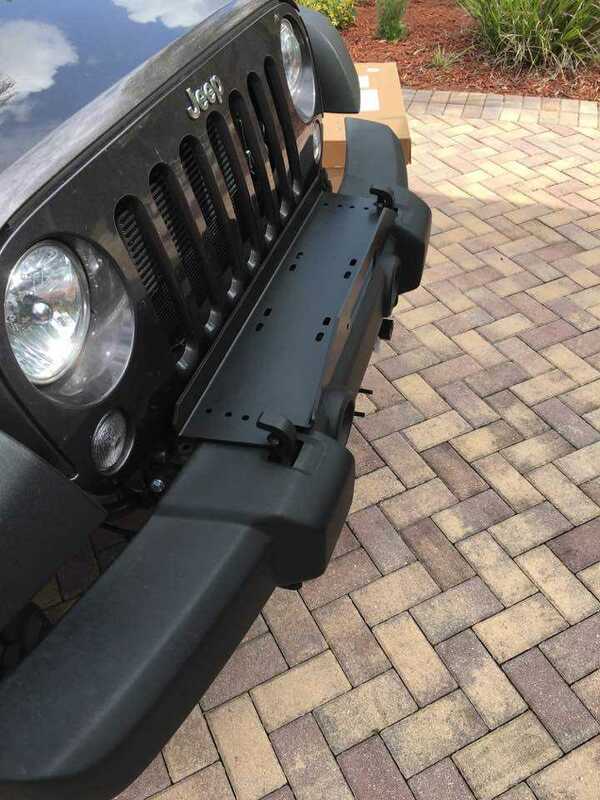 Simple installation with no drilling required will have you ready for the trails in no time. 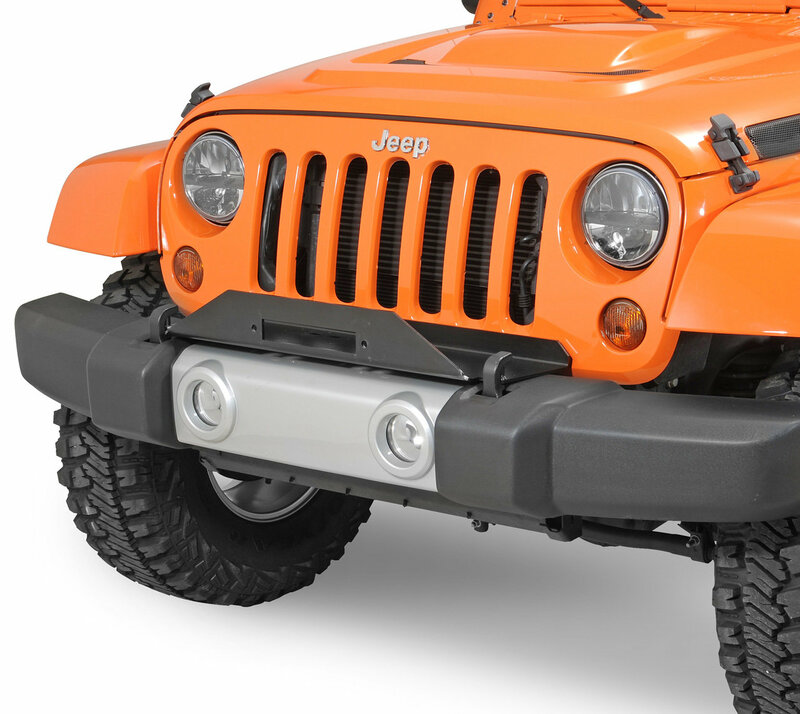 Requires the use of Factory Tow Hooks. Perfect fit for my 2015 sport unlimited. 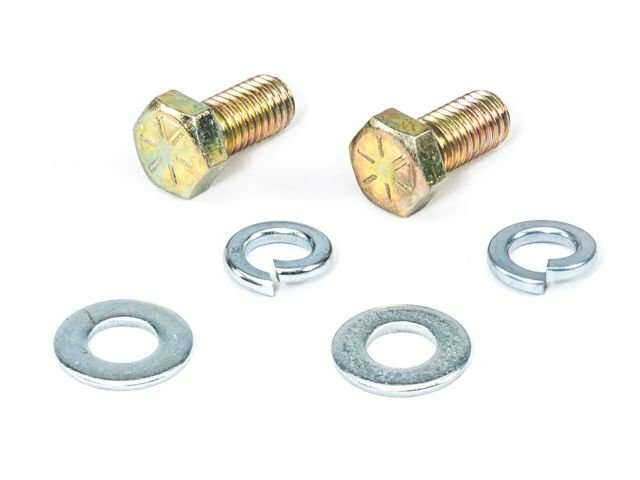 I suggest treading the bolts into the plate and removing them before you install it on the vehicle. That and a little lubricant makes seating and tightening the bolts much easier. Overall very nice piece. 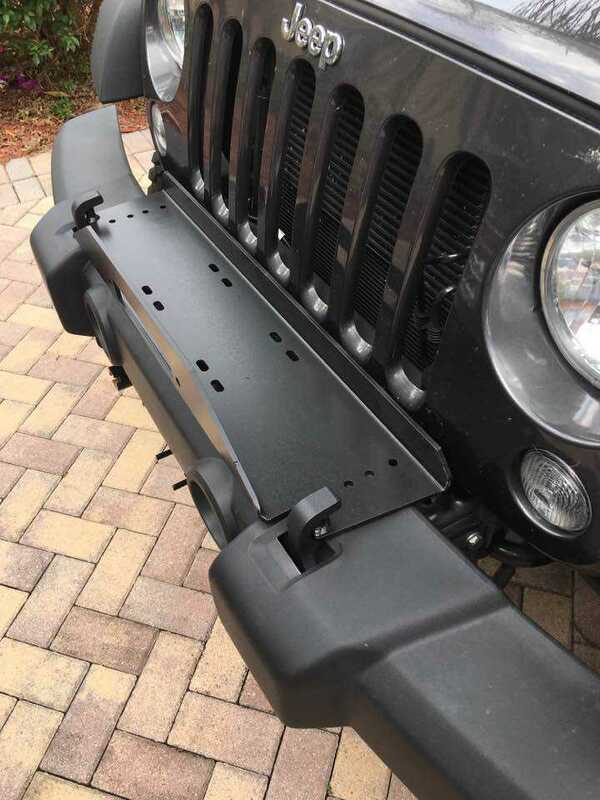 My only complaint is once mounted you cannot remove the grill. 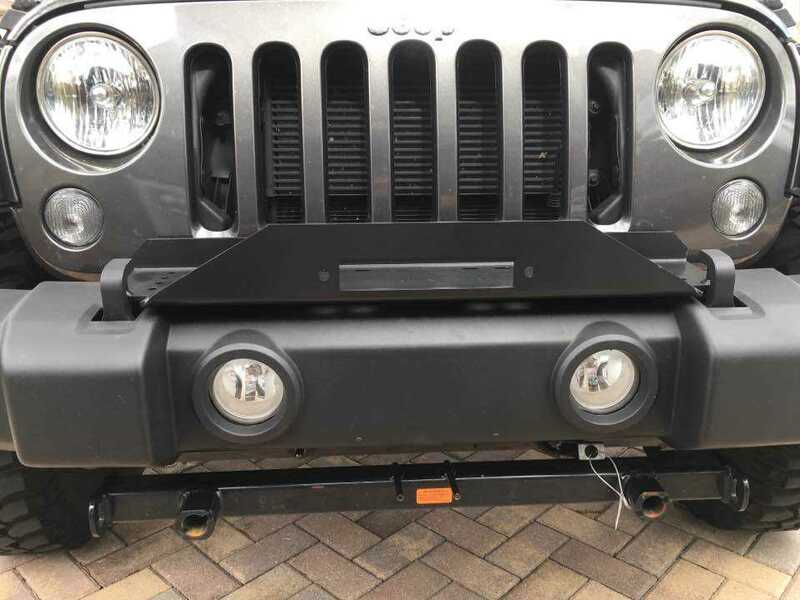 Not a big issue today but one day it will mean lossening the bumper and winch mount to gain clearance. 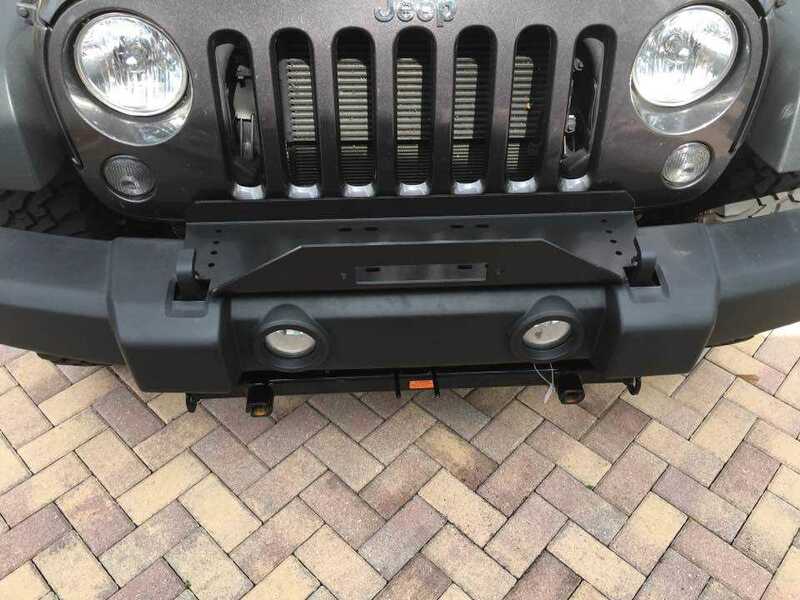 I did not want to replace my bumper so this was the lesser of the two. 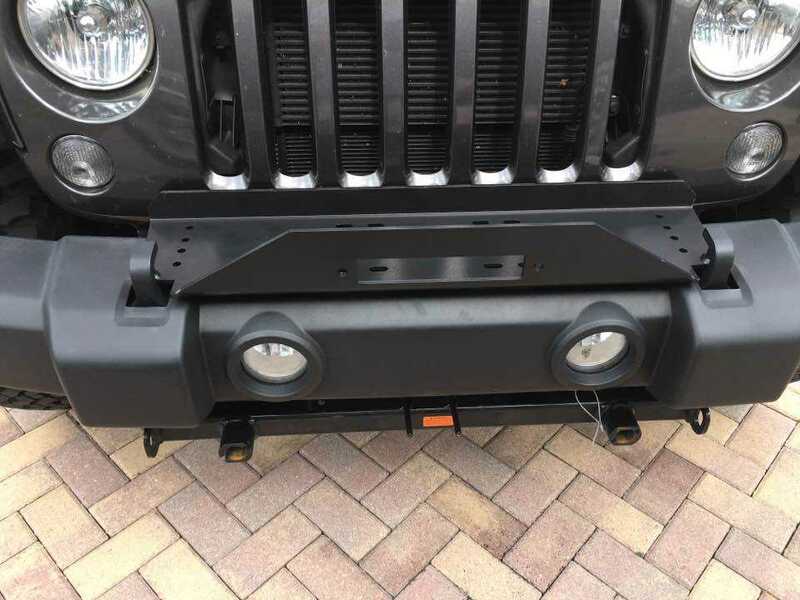 Great fit for my Wrangler JK 2018. These weigh approximately 30lbs. Thank you for your question. 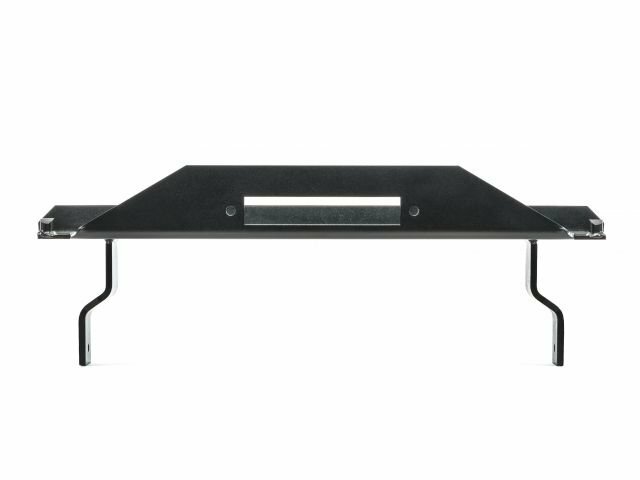 How thick is this plate material?